A dangerous man moves in with a mother and her two adolescent children. The man runs an unlicensed mechanic?s workshop at the back of their property. The girl resists the man with silence, and finally with sabotage. 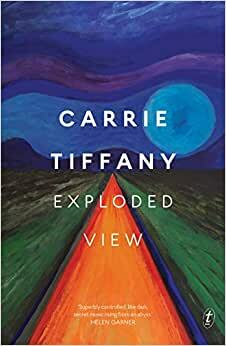 She fights him at the place where she believes his heart lives-in the engine of the car.Set at the close of the 1970s and traversing thousands of kilometres of inland roads, Exploded View is a revelatory interrogation of Australian girlhood.Must a girl always be a part-how can she become a whole? Start reading Exploded View on your Kindle in under a minute. A fearless and masterful new novel from the Stella Prize-winning author of Mateship with Birds.